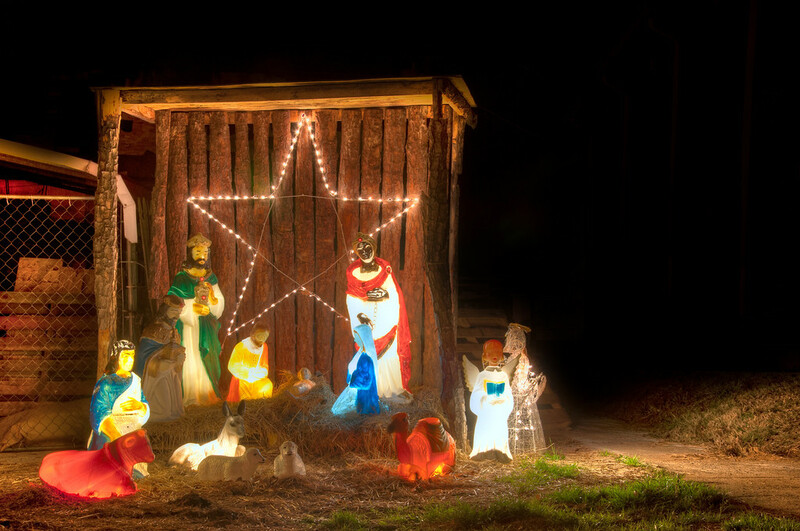 The Nativity | Just Shooting Memories! I was driving through Fairmount Georgia the other night and noticed that they had a nice Christmas Tree and lights throughout town. I decided to go back and get some Christmas lights shots. When I made it back, there was this small nativity scene beside the square with all the people and animals lit from within. I liked the way most of the light for the scene was not coming from without, but from within.